Car and campervan insurance for backpackers. If you are in a vehicle accident, you will not have to pay the full and potentially huge cost of damages to both your vehicle and any other vehicle involved. New Zealand road rules are likely to be different to what you are used to at home, increasing a risk of accidents. Even if you are a seasoned driver, there are other idiots on the road who car cause an accident involving you vehicle. 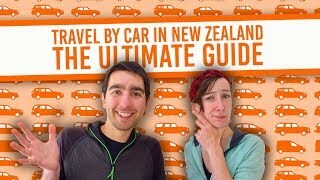 So, if you’re considering covering yourself or your vehicle while backpacking in New Zealand, take a look at our guide below to see what car insurance-buying decisions you will need to make. The four steps of buying a car in New Zealand. Make sure to check all our articles on the subject. Step 4: Car insurance (this article). Comprehensive – covers the cost of damages to your own vehicle, as well as damages to any other vehicle involved. Third party – covers the cost of damages to just the other vehicles involved in the accident. Third party fire and theft – as well as third party cover explained above, third part fire and theft also covers your own vehicle if stolen or damaged by fire. Some companies cover the costs of accidental injuries and death involved in a vehicle accident, however, accidents are usually covered by the New Zealand universal cover scheme, ACC, which you can read more information in What is ACC and Employee Accident Cover? For more information on the difference between comprehensive and third party, check out our guide to How Car Insurance Works in New Zealand. By “who” we mean you can insure either a driver or a vehicle. If insuring a driver, that usually means that that driver is insured when driving any vehicle in New Zealand. Then you can add named drivers to that insurance at an extra cost. If insuring a vehicle, it means any driver of your vehicle holding a valid driver license is insured. You don’t have to worry about switching drivers on a long road trip. 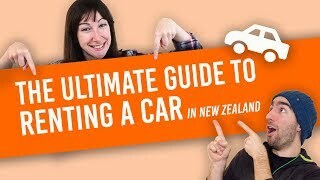 You can read more about what a valid driver license is in How to Drive in New Zealand. 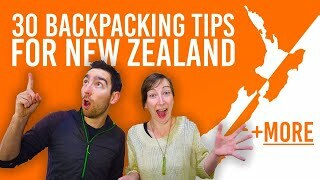 Not all backpackers travelling in New Zealand stay for a whole year, so it’s ideal that there are some New Zealand vehicle insurance companies out there offering cover for shorter duration than the usual one year. Companies like BackpackersMotorInsurance.com offer insurance in intervals of three, six, nine and 12 months, keeping prices lower by only paying what you need to. Once you have an idea about what type of cover you want, who you want to insure, and the preferred duration of the insurance, this may make choosing an insurance company a little more straightforward. For third party and third party fire and theft cover, BackpackersMotorInsurance.com keeps their prices to a minimum, while allowing you to insure your vehicle so anyone can drive it. You can also take advantage of the different durations of cover. For comprehensive cover, the AA allows you to insure a driver for all-round cover. It’s always smart to make a comparison between insurance companies by getting a quote from a few different companies. Additionally, look at the excess you would have to pay in the event of paying for damage. Higher excess usually means cheaper insurance prices, while lower excess may mean expensive car insurance. For more information on excess and other technicalities of understanding your car insurance, visit How Car Insurance Works in New Zealand. Visa or MasterCard to pay online or just your debit card will do if paying in a store. 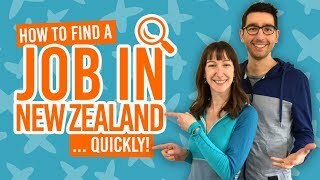 Now that you have followed all the steps of our Buying a Car in New Zealand Step by Step, you are ready to hit the open road! Here’s a few more articles to help you and your vehicle during your road trip.